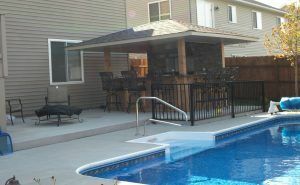 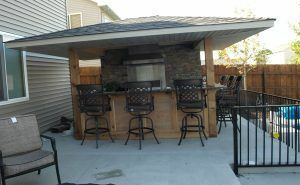 Built a resort style back yard for outdoor entertainment at home. 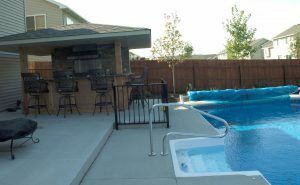 Spending a fair amount of time in the planning stage we found creative solutions to squeeze everything the family wanted into this typical backyard. 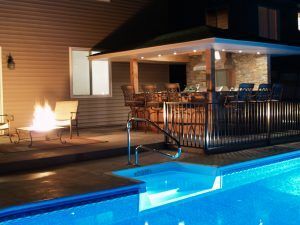 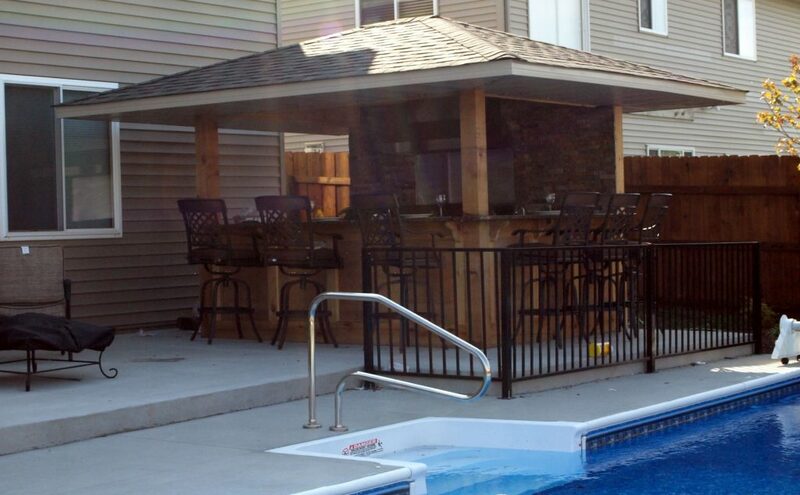 The transformation started with the installation of an in-ground swimming pool and patio. 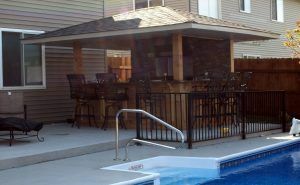 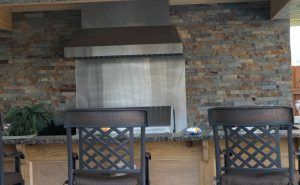 Next, the outdoor cabana style kitchen was constructed. 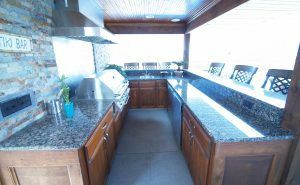 Finished with amenities such as custom cedar cabinets, granite counter tops, stainless steel appliances, a stereo system with built in speakers and recessed lighting and low voltage accent lighting. It’s also equipped with a large enough grill for entertaining and two under cabinet refrigerators for food and beverage storage. 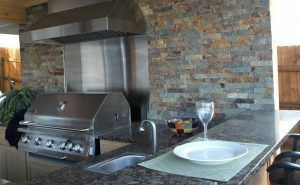 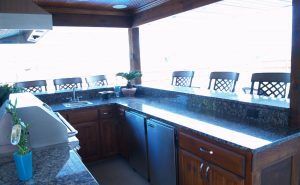 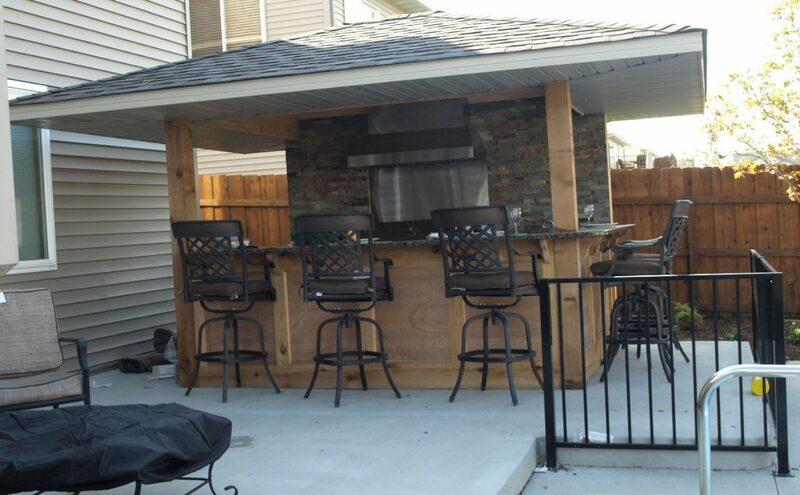 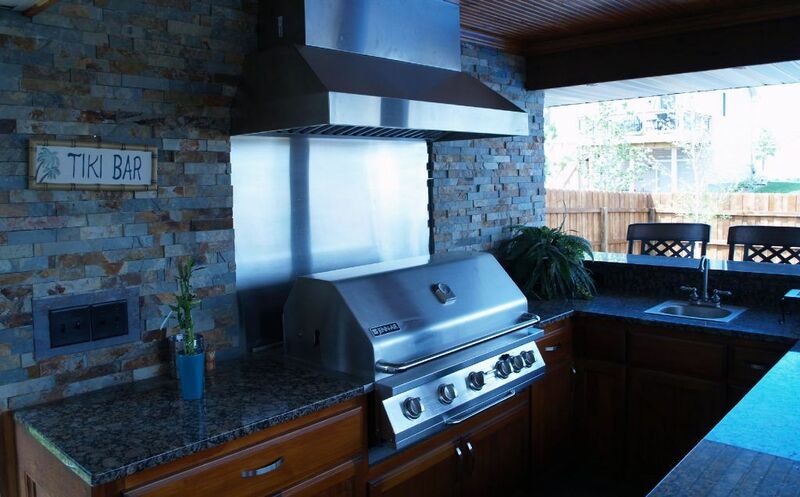 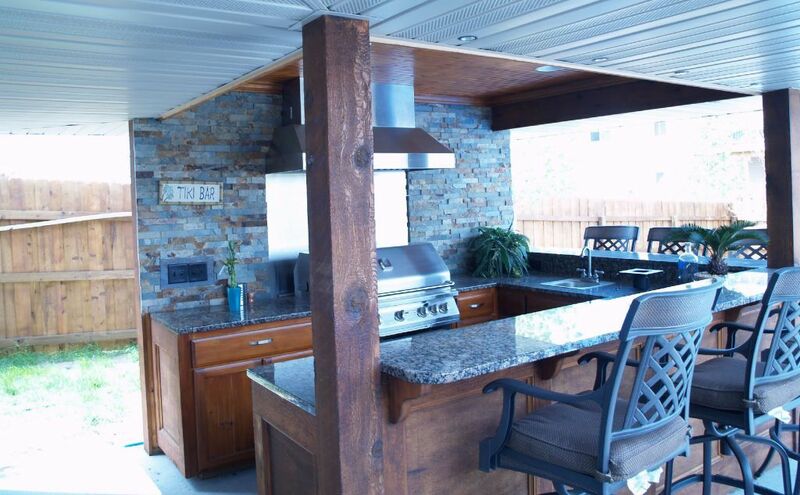 With plenty of room for seating and comfortable bar height for standing this outdoor kitchen is a great place to spend time with family and friends.